I have provided affiliate links for your shopping convenience. If you buy something from clicking one of my links, I will get a commission from the sale. It will not cost you a penny more and allows me to keep sharing my ideas with you for free. Thank you for supporting my blog! 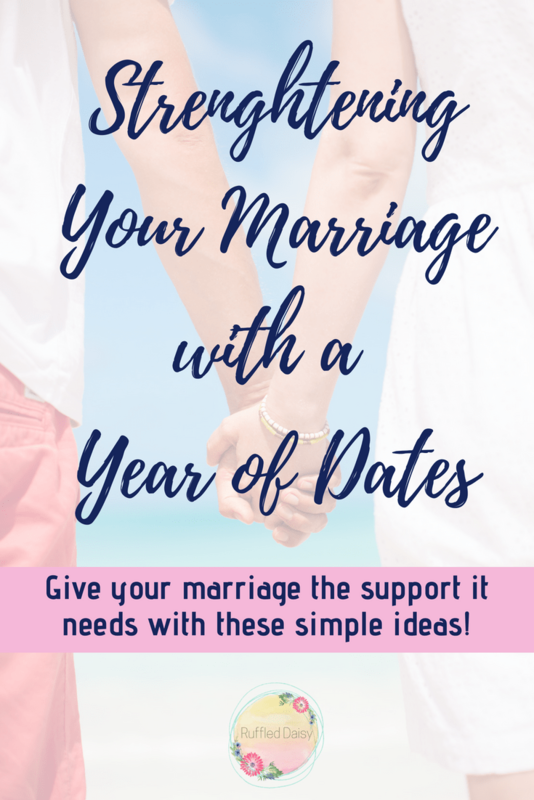 Building a strong marriage with a year of dates is one of the best things you can do for your relationship! This is such an easy concept that really anyone can do. 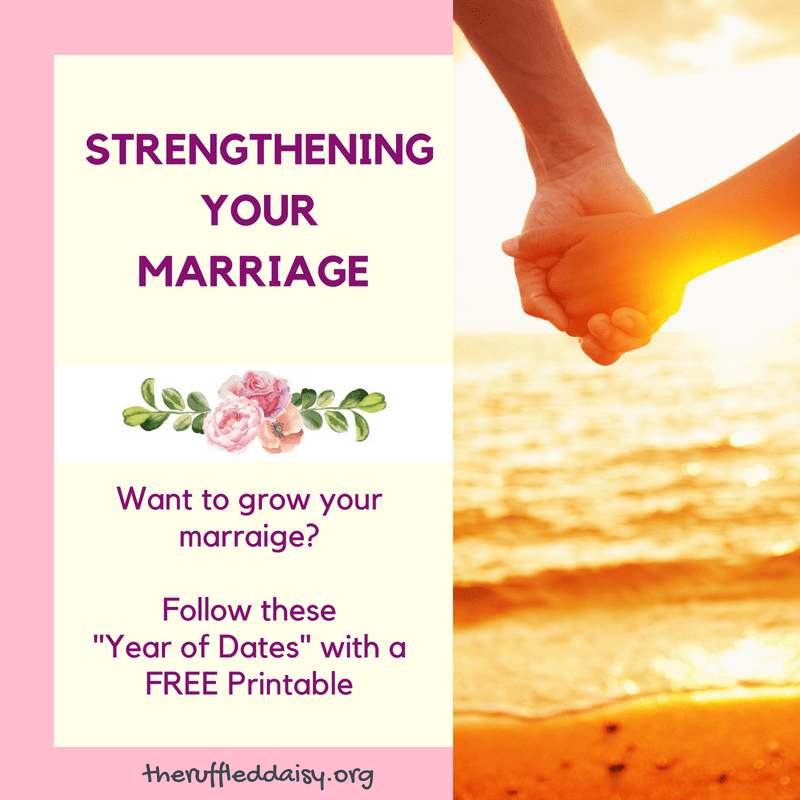 It’s an easy way to grow in not only your marriage, but in other relationships, as well. You can use it if you’re married or just dating. It can be used in friendships or with extended family members. It can even be used with each of the children in your family, separately. 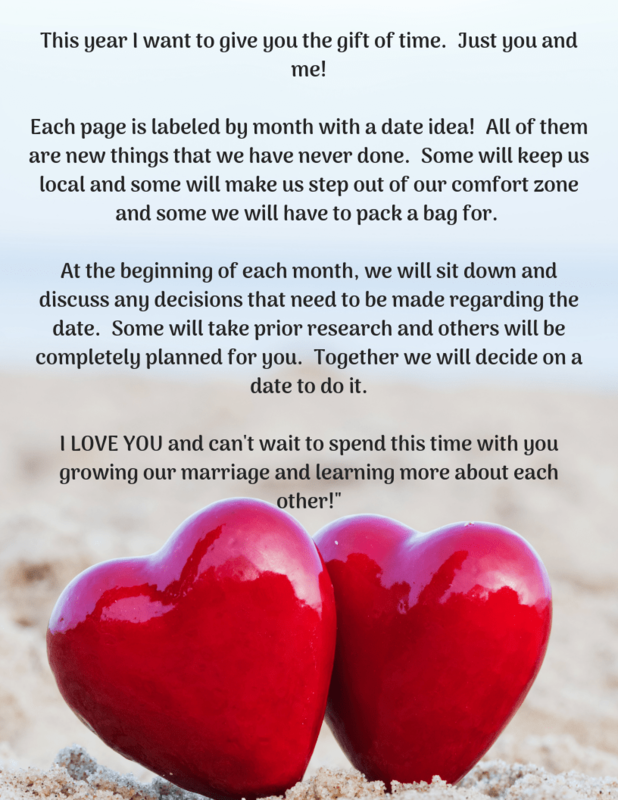 Give your spouse a “Year of Dates“. Simply put, it is a pre-set series of dates that will be taken once a month. ONCE-A-MONTH! It can’t get much easier than that. This does take some prior planning on the givers part. Some of the dates are completely preplanned and some of them will take some input from the other party. Make sure you sit down to think about things that would make your partner happy when planning this. Present this anyway you want but I just fancied up a simple manilla envelope and everything was inside. Each of the dates inside the envelope was on a separate colored sheet of paper detailing the day/evening/weekend events. This is just a small sampling. During each date I do have some other things planned. Use your imagination to tailor the dates to you and your spouses likes and interests! I’d love if you could PIN this image and share it with your friends! Marriage is hard work. Take this opportunity to sit down and think about how you can make your year amazing with your family and friends by planning dates of your own!! GOOD LUCK and most importantly, HAVE FUN!!!! Did you like this post? I’d love for you to share it with your friends on social media and PIN it so you have it for later! If you like what you see on this page, I’d love for you to join my mailing list HERE! When you join, I’ll send you a my FREE Home Decor Holiday Printables that you can immediately download. Just my way of saying “thank you” and encouraging you to live your best life! !